Condition: Good, general age-related toning. Please study image carefully. Overall size: 28.5 x 22.7 cm. Image size: 27 x 21 cm. 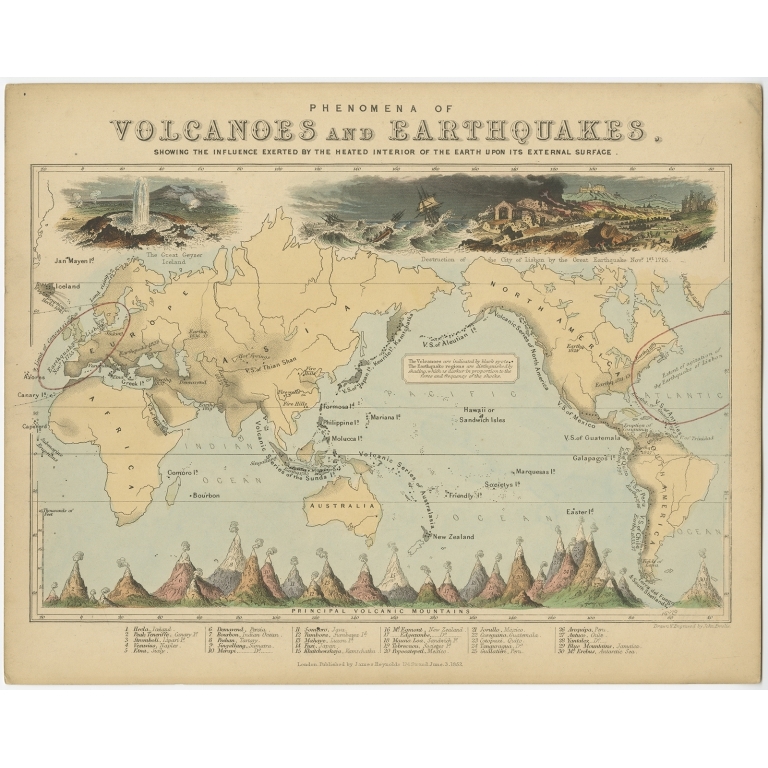 Description: Antique world map showing the phenomena of Volcanoes and Earthquakes, showing the influence exerted by the heated interior of the earth upon its external surface. 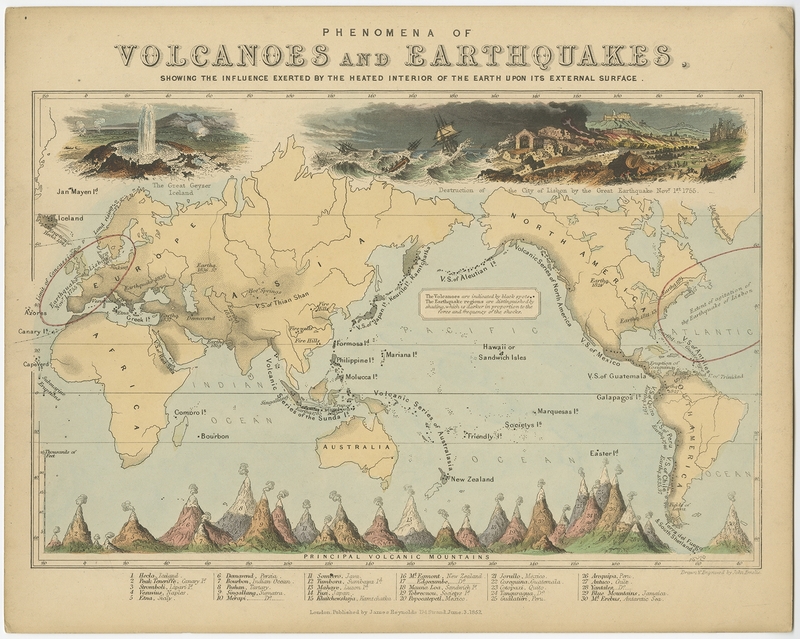 Originates from 'Geographical Diagrams '. Artists and Engravers: Published by J. Reynolds, London.